When you have to add new information to your website, or you have to update the existing order’s details on your website, manually doing all the work is going to take forever. Especially when you have hundreds or thousands of orders to be added to the website. You can import the orders and all the data related to the orders using Order/Coupon/Subscriptions Import Export Plugin for WooCommerce. The plugin helps you to import orders from a WooCommerce store, or any other e-commerce platform. It takes either a CSV file or an XML file as input. Even if the files contain hundreds of thousands of orders, all the orders in the files are effortlessly imported to the store in a matter of minutes. This article explains how you can import the WooCommerce orders into your store using. 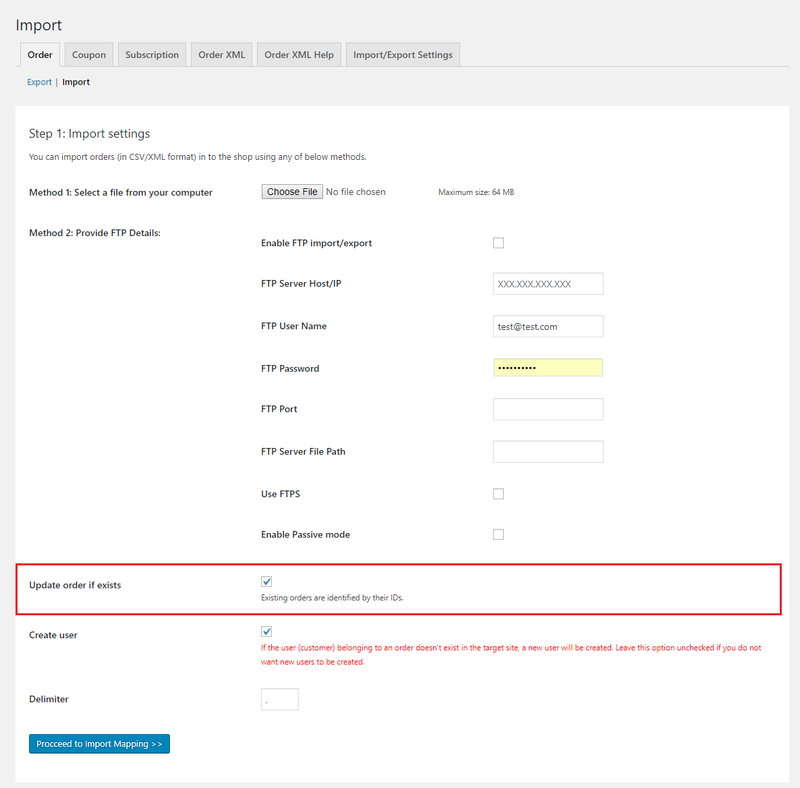 To import the orders into a WooCommerce store, first, you have to install and activate the plugin on your WooCommerce website. Also, for importing, you must have a CSV or XML file prepared beforehand. You can either prepare the files manually or you can export the data using Order/Coupon/Subscriptions Import Export Plugin for WooCommerce or with the appropriate methods for other platforms. Also, the CSV Import file must be in UTF-8 format. For more information about UTF-8 encoding, read How to save CSV / Excel File as UTF-8 Encoded? 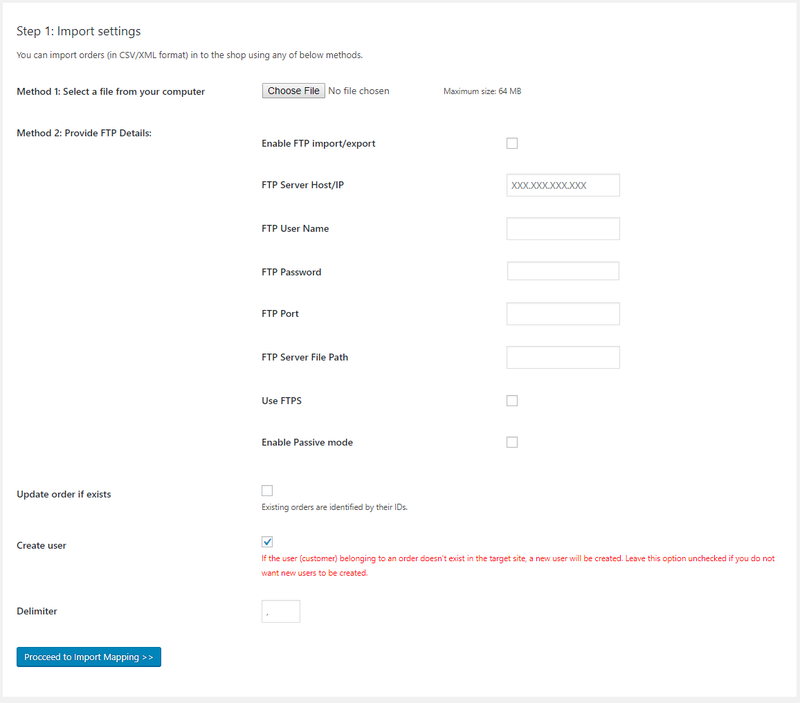 Once you have the XML or CSV file prepared and ready, you can do the following steps to import the file into your WooCommerce store. To import the orders into the WooCommerce store, go to the admin dashboard and navigate to WooCommerce > Order Im-Ex. This will take you to the plugin page. The plugin page looks as shown below. Click on Import, and it will take you to the Import page. The Import Page looks as shown below. There are two methods by which you can import the data. This is based on the location where the file is stored. The following are the two methods by which you can import the CSV or XML files. After you have chosen the appropriate method for importing the file, fill in the below fields as required. Select the checkbox to enable passive mode. 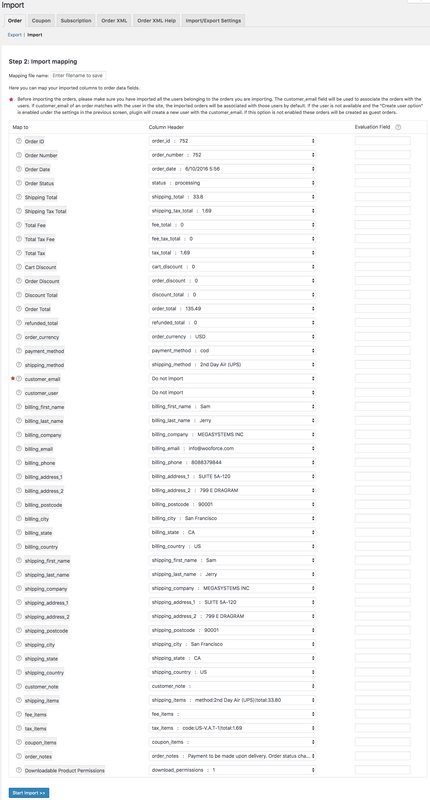 Select the checkbox to update the orders an order if it already exists in the store. Next, click on Upload file and Import. This will take you to the next important step in the import process, Map Fields. The window appears below. The mapping fields are important to ensure the right data from the CSV/XML file are imported under the right data fields. This comes in handy when the data is being transferred from other e-commerce platforms. When the aim of the import is to update the existing orders in bulk, the plugin can help you do that with ease. Consider a scenario where your existing orders got modified. To reflect that modified orders into your online store, you can update the current orders by importing modified order CSV file. This is called a merging of the order. The Proceed to Import Mapping to map the fields of the CSV file and rest of the import process is the same as a regular import. This entry was posted in Documentation, Knowledge Base, Order / Coupon / Subscription Export Import Plugin for WooCommerce. Bookmark the permalink.